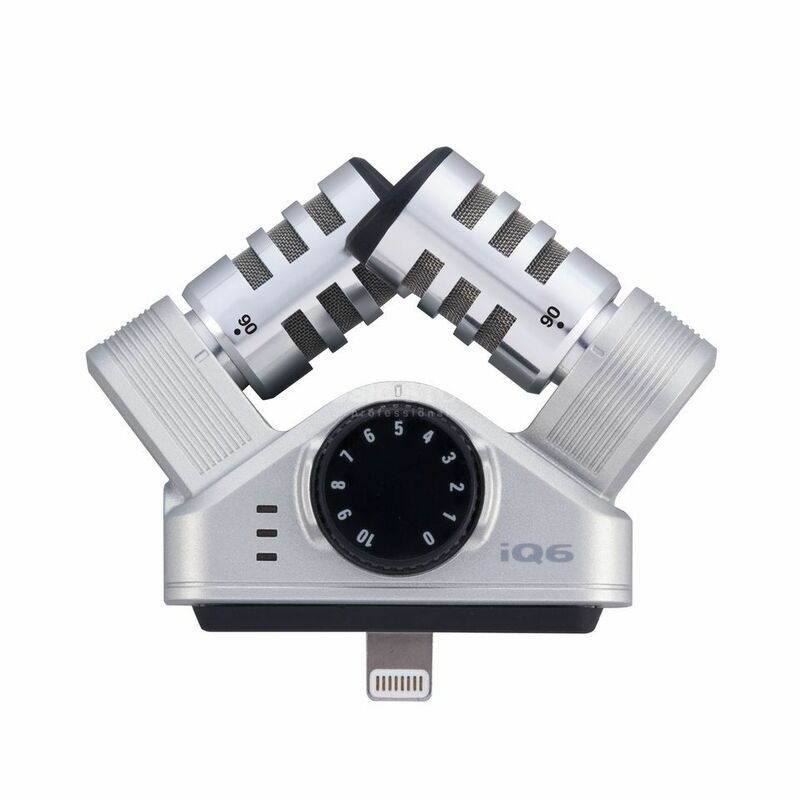 The Zoom iQ6 is a stereo microphone for iOS devices. Turn your favourite iOS device into a field recorder by plugging in a Zoom iQ6 — a stereo X/Y microphone with a Lightning connector small enough to slip into your pocket. Capture the sound of concerts, interviews, meetings and lectures with precision and full fidelity, then share your creations with the world. The compact and lightweight iQ6 allows you to create high-quality recordings wherever you go. Whether it's a podcast on the fly, an impromptu concert or a sound effect you want to incorporate into your next video, you can count on your iQ6 to capture the moment with superior audio. The iQ6's large analogue-type MIC GAIN wheel and three-segment level LEDs ensure that you'll always get great audio in every environment — from quiet meetings to loud concerts— with crystal clarity and no signal overload. The iQ6's dedicated headphone jack —which doubles as a line output— enables direct monitoring during both recording and playback. The iQ6 comes with an extended Lightning connector and removable spacer that allows it to be used with most iPhone, iPad and iPod cases. Simply plug your iQ6 in and start making great-sounding stereo recordings! * Some cases might prevent connection even when the case adjuster is removed.